For a quick and healthy lunch box filler take one large avocado and add the juice of half of a small lemon, half teaspoon olive oil, a dash of Tabasco, and salt to taste. 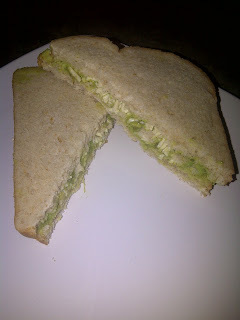 Spread on your favorite bread and add cheese of choice (soy or dairy) or dress it however you like. Let me know what you like on your sandwich!